Keeping watch over a caterpillar leads to amazing surprises in a bright, buoyant read-aloud inspired by a children s verse. 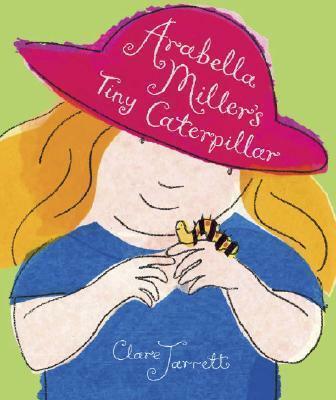 When Arabella Miller finds a tiny caterpillar, she brings him home and feeds him lots and lots of leaves. Soon the not-so-tiny caterpillar sheds his skin and disappears inside his chrysalis. Arabella misses her friend, but when he finally emerges, she is filled with wonder at the beautiful creature he has become. Clare Jarrett s sweet story and vibrant illustrations weave details about a caterpillar s transformation into this elaboration on the song "Little Arabella Miller." Clare Jarrett is the award-winning author-illustrator of several picture books, including THE BEST PICNIC EVER. She lives in Norfolk, England.